18 July 2018, Lima, Peru - Peru, one of PAGE’s first partner countries, is currently updating its National Green Jobs Plan. Based, in part, on inputs from PAGE, the Green Jobs Plan has identified mining, forestry, tourism and solid waste as sectors that hold enormous potential for environmental reform and promoting green jobs. In addition to the support of PAGE in sectorial policy reform, SOCIEUX+, an EU programme dedicated to improving social protection, labour and employment, began providing technical assistance to the Peruvian Ministry of Labour in April this year, with the overall objective to strengthen its capacities for green jobs promotion. To capitalize on the momentum this complementary programming is providing, PAGE expanded upon a SOCIEUX+ mission of experts into a broader event in April: the National Green Jobs Forum. With PAGE support, the SOCIEUX+ programme recently conducted a capacity building workshop on how to design specific green jobs measures and projects in the solid waste sector. 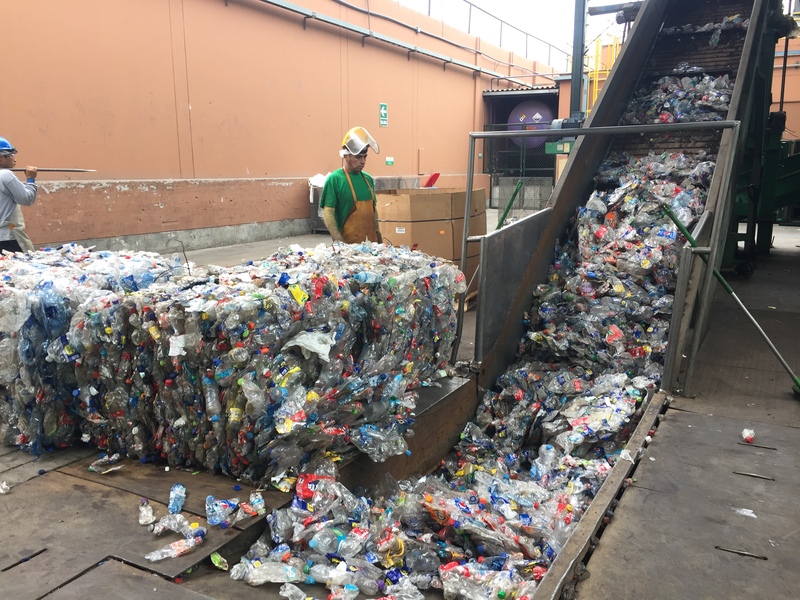 The workshop covered topics including green economy principles, formalization of waste workers, and included site visits to both private and public waste management facilities. PAGE will continue its synergy with the SOCIEUX+ programme as it expands into further sectors. 19 April 2018, Lima, Peru - In order to promote green employment, especially among young people and vulnerable populations, the Ministry of Labor and Employment Promotion (MTPE) of Peru is preparing a National Green Jobs Plan with the support of PAGE. To further this goal, a "National Forum for the promotion of green jobs in Peru", was held in Lima this week. The head of the MTPE, Christian Sanchez, said that this plan has been updated and adjusted to leverage global trends and implement best practices, as well as meet international committments, including Agenda 2030, the Paris Agreement, and OECD accession process. Philippe Vanhuynegem, director of the ILO Office for the Andean Countries, commended the plan as an essential tool for true green growth, which reconciles economic development with a more efficient use of natural resources and greater social equity. "A green economy can generate more and better jobs. It's an opportunity, but you have to be prepared," he added. 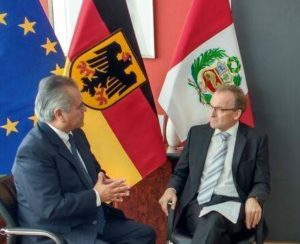 The Ambassador of the European Union, Diego Mellado, agreed that in order to continue doing business and generating jobs, Peru must pivot towards more sustainable consuming and producing. "The transformation is already underway among global companies and consumers, and Peru must be ready for this scenario," he insisted. Green employment is a labour market in which all employment is decent, and in which jobs contribute to a reduction of energy use and raw material consumption, limit greenhouse gas emissions, minimize waste and pollution, protect and restore ecosystems, and enable the adaptation of companies and communities to climate change. "A transition to green jobs involves developing policies that ensure that those who may be adversely affected, especially the younger population, are protected through retraining opportunities, adequate social protection and a more relevant education," said Vanhuynegem. With this in mind, the MTPE, the Regional Employment and Employment Promotion Offices and PAGE prepared four Regional Youth Employment Plans 2016-2021 in the regions of Arequipa, Piura, La Libertad and Cajamarca. Minister Sánchez stressed that these public policies are important management tools aimed at promoting decent employment among the youth population. 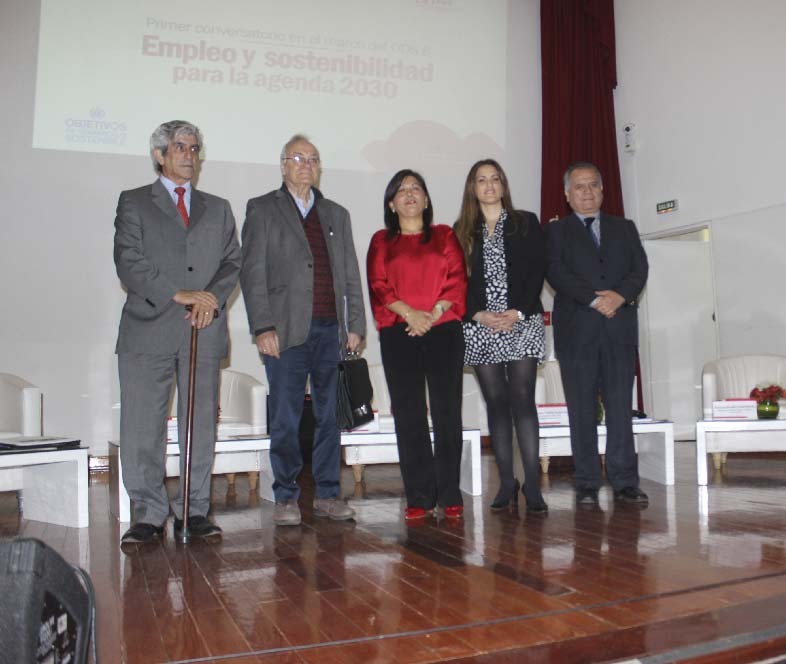 The "National Forum for the Promotion of Green Jobs in Peru" was organized by the MTPE and PAGE, with the support of SOCIEUX + of the European Union, in order to obtain better inputs for the design of the National Plan and to position green growth as a engine to generate decent employment and social inclusion. These efforts are part of the National Green Growth Strategy being developed by the Ministry of Economy and Finance and the Ministry of the Environment. 1-3 August 2018, Lima, Peru - In collaboration with the Ministry of Production of Peru (PRODUCE) and the EU-funded project “Inclusive Green Economy Policy Making for SDGs: from Implementation to Evaluation”, Universidad del Pacífico (CIUP) and the Partnership for Action on Green Economy (PAGE) held a three day capacity building event on the Integrated Green Economy Modelling (IGEM) Tool. Building on a previous workshop where the IGEM framework was presented to Peruvian government officials and other stakeholders in 2017, the three-day event marked the first phase of the implementation of the IGEM tool in Peru. The training process, aimed at public officials and members of academia, intends to enable the evaluation of green policies in several sectors, including the manufacturing sector, of particular relevance in the context of the greening of Peru’s economic structure. During the opening of the workshop, Philippe Vanhuynegem, Director of the ILO Office for Andean Countries, acknowledged that Peru has successfully taken on the task of promoting green growth. "In this process, the United Nations has been contributing to the generation of knowledge to incorporate the concept of green inclusive economy in policies and national plans”, he recalled. "Now PAGE is in a phase of consolidation and we’re transferring knowledge, tools and capabilities developed to ensure the sustainability of its actions". 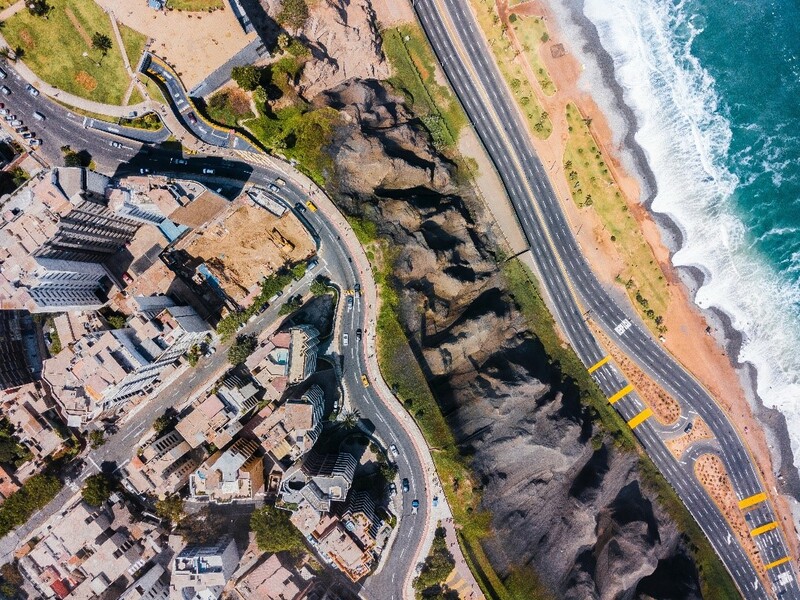 The Integrated Green Economy Modelling Tool (IGEM) will allow Peru to use a range of economic, social and environmental indicators to project the impacts of potential green policy measures and to analyse the effects of existing policies. "Having this information in a timely manner is essential for policy decisions and planning", he added. Policies evaluated with this tool should help meet the national objectives of sustainable development, improve competitiveness, promote economic growth, diversify the economy and generate green jobs. In this sense, Congressman Pedro Olaechea insisted on the need to use the information generated to "work in the creation of solid markets and incentives that motivate entrepreneurs to invest in green jobs and businesses and, at the end of the day, contribute to reduce informality". The training also served to refine the process of implementation, monitoring and reporting of some of the Sustainable Development Goals to which the country has committed. "Only by working together can we achieve [the 2030 Agenda]", said Stefan Pauwels, Head of the European Union Cooperation Section in Peru. "The green economy and the circular economy are tools that allow progress in that direction", he insisted. The discussion was opened with remarks from the Executive Coordinator of Impulsa Perú, Rossana Taquia, who celebrated the actions that the programme has promoted that are leading the country towards the achievement of the Sustainable Development Goals in the two years since its inception. In the first roundtable discussion, “Challenges and Opportunities of toward achieving SDG 8 in Peru by 2030,” the National Coordinator PAGE Perú, Miguel Angel Beretta began his presentation stating that "green growth is the key to sustainable development,” and sharing knowledge on the progress of each axis of work of the PAGE initiative. He reiterated that achieving the SDGs, particularly SDG 8 would require institutional support and commitment from the government, and finally, he stressed the government with the support of public, private and civil society sectors must create the sufficient conditions for people to access more dignified jobs while promoting the development of a sustainable economy. "PAGE has contributed in a number of ways; in particular, we have focused on developing a proposal for prospective green industries and conducting various studies with the Ministry of Labour and Employment Promotion to advance regulations on telework and, in general, on green jobs. It is important to consider that SDG 8 is a pillar for decent employment and the economy," he concluded. The Head of Ethics of Leadership, Ethics and Social Responsibility (CLERS) of the University of the Pacific (UP), Francois Vallaeys, presented the role of universities and civil society in achieving SDG 8. "The role of our university is to promote decent employment for graduates and teachers. From the Centre for Entrepreneurship and Innovation at UP, we have incubated business initiatives and strengthened the entrepreneurial ecosystem that contributes to the growth of the country and the well-being of society, and promoted the conditions for fair employment, "said Vallaeys. One of the projects is NOMADES, a company that seeks to build community through products that shape Peruvian culture and to promote a "fair market” by eliminating brokers. Another highlighted project is Q'UMA, producers of organic chocolate and coffee through agro-ecology. Mr. Vallaeys also pointed to the importance of the circular economy for disrupting the political and social agenda and sharing the economic, social and environmental benefits of production and consumption. In a circular economy, the waste from one business activity is used as an input for another. This article has been adapted from the PAGE Peru website. To read the original, please click here, and to find out more about PAGE's work in Peru please click here. 12 July 2017, Lima, Peru - On 12 July 2017, a workshop on “the Integrated Green Economy Modelling Tool” (IGEM) brought together Peruvian governmental entities with two main goals. 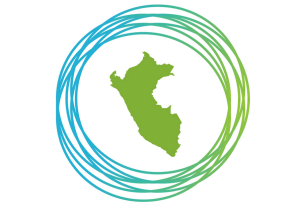 First, the workshop aimed to broaden and strengthen Peruvian experts’ abilities to align green growth with the formulation of economic models for short, medium and long-term growth. Second, it encouraged incorporating the IGEM into the drafting, implementation and impact evaluation of public policies with a particular focus on green policies. The workshop was organized by PAGE Peru in coordination with the Ministry of Environment and UN Environment and convened experts from the Millenium Institute, UN Environment, University of British Columbia, Universidad Iberoamericana de Puebla, Universidad del Pacífico as well as around 70 professional participants from civil service (INEI, MEF, MTC, MINAM, MINAGRI, PRODUCE, MTPE, CEPLAN), international cooperation, the private sector and civil society. The national coordinator of PAGE Peru, Miguel Ángel Beretta, opened the event by calling upon key stakeholders to share the main modelling tools they use. At this point, Beretta also stressed the importance of green economy, saying, “Green policies can contribute to the sustainable development of Peru”. José Pineda, UN Environment consultant and professor at the University of British Columbia, presented “the Integrated Green Economy Modelling Tool” demonstrating the existence of “modelling feedback” in a way that an output from one model can be an input for another one. In addition, María Eugenia Ibarrarán, who works at the Universidad Iberoamericana de Puebla, spoke from her own experience in Mexico by highlighting the relevance of using the dynamics of modelling in order to build synergies between the social, economic and environmental spheres. 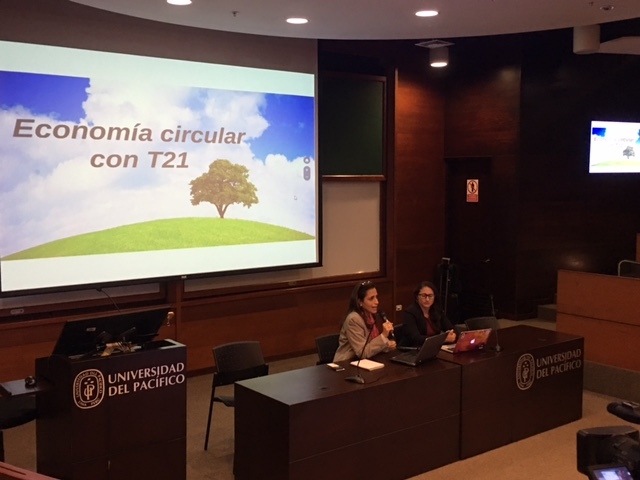 Finally, Susana Assuad, researcher and modeller at the Millenium Institute explained the practical use of the causal relations that the Model T21 presents in terms of measuring the general public policy impacts in the environmental, social and economic areas. With this tool in hand, it is possible to directly link policies with different green growth indicators and enhance sustainabe policymaking. -Crecimiento Verde en el Perú Análisis cuantitativo de políticas verdes, Daniel de la Torre Ugarte, Universidad del Pacífico. March 17, 2017, Peru - In the lead up to PAGE's Second Ministerial Conference "Inclusive and Sustainable Economies: Powering the Sustainable Development Goals", held on 27-28 March 2017 in Berlin, the German Ambassador in Peru, Mr. Jörg Ranau, shared his perspectives on Green Growth in Peru, the decarbonization of the global economy and some of the successful projects developed in Peru within the framework of international cooperation between Germany and Peru. Some of the collaborative work being undertaken by the German government in Peru includes working together for the conservation of biodiversity, and addressing climate change. Additionally, conserving forests and protecting the most vulnerable populations are part of the essential work between the two nations, German Ambassador to the country Jörg Ranau said. In an exclusive conversation with Miguel Ángel Beretta, PAGE Peru's representative, the ambassador explained that important projects on solid waste segregation are being developed in Ayacucho and sustainable use of forests in Ucayali. "We will continue to work with PAGE Peru and we want to cooperate and contribute to meeting the Nationally Determined Contributions (NDC) in Peru. The German government is committed to working alongside countries that are on the cutting edhe in the fight against climate change like Morocco and Peru," said the Ambassador. The Ambassador explained that from 2022 Germany will have transitioned to 100% renewable energy, which generates more jobs and brings benefits to the population. "You can develop an industry based on renewable and green energy, and from now on we are trying to decarbonise the economy," he said. This story originally appeared on PAGE Perú's website. To see the original, please click here. Lima, 8 June 2016 - On May 31, the Organization for Economic Cooperation and Development (OECD) and the United Nations Economic Commission for Latin America and the Caribbean (ECLAC) presented the Environmental Performance Review of Peru, an important milestone within the context of Peru´s commitments as part of its rapprochement to the OECD. Peru was the fifth state in the region where that evaluation was made according to the methodology of the OECD, after Mexico, Chile, Brazil and Colombia. The Environmental Performance Evaluation (EDA) 2003-2013 contains 96 Conclusions and 66 Recommendations aimed at improving environmental performance, policy development and informed decision making process in the country. 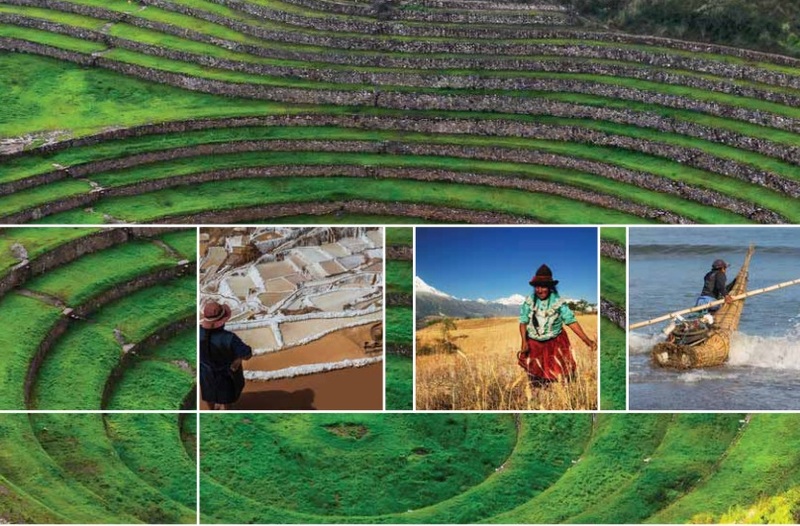 In line with the goals of PAGE support to Peru, the 8th recommendation of the Conclusion and Recommendation, Part I (Progress Towards Sustainable Development), urges Peru to “Complete the Green Growth Strategy in Peru, taking into account the role of environmental policies as a catalyst for economic growth (…) and strengthen coordination between the National Centre for Strategic Planning, the Ministry of the Economy and Finance, the Ministry of Production, the Ministry of the Environment and other competent agencies to ensure the effective implementation of low-carbon green growth by defining specific, measurable and consistent environmental objectives”, additionally, recommendations No 9 and 13 strongly suggests Peru to "Incorporate environmental considerations into the tax system" and to “Bolster the role of the private sector in the development of eco-innovation, energy efficiency, nonconventional renewable energy sources”, as well as solid waste management, thus facilitating consumer awareness. This set of recommendations is key to the fulfillment of the Sustainable Development Goals (SDGs) of the 2030 Agenda for Sustainable Deveopment, adopted in September 2015 and signed by Peru, and in particular, for the promotion of inclusive green growth. 27-28 April – Loreto region occupies more than a quarter of the territory of Peru. There is high commitment to and potential for green growth in the region due in part to its location in the Amazon Rainforest and significant jungle coverage. The Regional Government, at the initiative of the Regional Directorate of Labour, organized the “Loreto Meeting on Green Economy and Green Jobs”. The meeting aimed to synergize efforts on green jobs, identify needs and priorities, and determine actions to encourage dissemination of knowledge on green growth. The event was attended by representatives of the Research Center of Universidad del Pacífico (CIUP), PAGE Peru, public officials, the private sector, entrepreneurs, members of civil society, among other stakeholders. The Governor of Loreto presented the region’s approach to green growth and emphasized that the concept of green growth for Loreto is a tool to assess and optimize biodiversity, water resources, carbon sinks, etc. as sources of renewable and inclusive wealth. The Governor also presented the progress on institutional planning towards a green economy. For example, public investment projects to enable better functioning of the Regional Environmental Authority can support regional greening efforts. At the event, the PAGE national coordinator in Peru, Miguel Angel Beretta, presented PAGE support towards a green economy in Peru including tools for the national government on intersectoral policy analysis, the promotion of green industry and green jobs, and the development of a stocktaking study on the state of green economy at the national level. PAGE work will be presented to the new National Government, following upcoming elections, so that the new Government officials take ownership of green economy in Peru. The meeting was the first engagement between PAGE and the Loreto region, setting the stage for a promising collaboration considering that the regional authorities have already demonstrated their commitment to sustainable development and green economy. The regional Government, according to the PAGE national coordinator, “have been able to identify different strategies to meet the demands of valuing the immense territory with a green growth approach. Not only at the level of extractive activities, but also valuing forests, biodiversity and water. Therefore they have advanced instruments for governance including georeferencing for planning and monitoring”. CIUP presented the preliminary results of the Peru Green Economy Assessment, including the “Threshold 21 Model” (T21), which is a system dynamic modelling tool to provide qualified economic, social and environmental planning options to policy makers, developed by the Millenium Institute at global level. The assessment will also identify investment gaps, guide investment decisions at the macro, regional and sectoral levels, and identify opportunities for green jobs creation. Importantly, the event took place with support and engagement of the Interrgional Council Amazónico (CIAM), that gather all the regional governments of the Amazon regions. The CIAM has identified green growth as the best alternative development model for the Amazon region and the country. For more information, please see the Spanish version of this article here, and check out the PAGE Peru website. On Thursday 19th May, at 8h-12:30h, Peru’s final two presidential candidate teams debated the meaning of and opportunities for green growth in Peru. 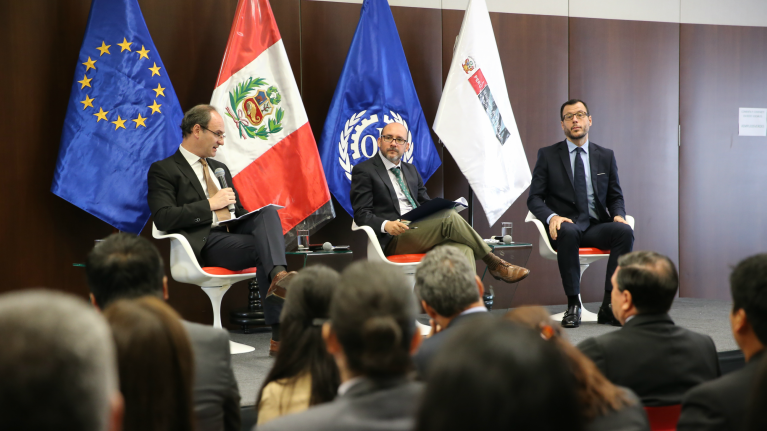 With the support of PAGE and Universidad del Pacifico, the 1st Public National Forum on Green Growth for the Peruvian Economy provided a platform for the candidates' political teams to share their views on green growth. Attendees included stakeholders from international organizations, civil society, the private sector and academia. The debates were streamed live and a recording of the event can be accessed here. At the forum, PAGE and Universidad del Pacifico presented key findings from the Green Economy Stocktaking Study and preliminary results from the Green Economy Assessment. Taking into account feedback on these studies will ensure consensus for future formulation and adoption of green economy policies and reforms by the incoming government. The coordinator of the Peru Green Economy Assessment was interviewed on national television and can be seen here explaining how the T21 modelling tool is used to inform policy makers. In addition to the debate, each presidential candidate is preparing a written statement answering targeted questions on their views of greening the Peruvian economy. A press event held on 17 May engaged 18 journalists in preparation for reporting on green economy issues that will be discussed in the debate.